The first Territorial unit, known as the Otago Cavalry was formed on 4 November 1864 but the name was quickly altered to reflect the nature of the unit, that is as light horse rather than full cavalry. So on 17 December 1864 the formation was renamed the Otago Light Horse. 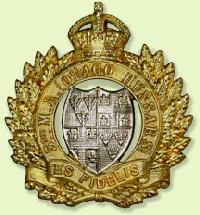 About 1885, the name was changed again to the 5th Otago Hussars, again, reflecting the role expected of the Regiment. After the lessons of the Boer War filtered through to the New Zealand military structure, on 14 September 1900, the unit was renamed the Otago Mounted Rifles. 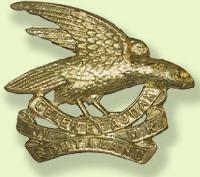 This was to distinguish the unit from a mounted infantry role which required the added mobility and use of the rifle. Two weeks later, on 1 October the government gazetted two Battalions were gazetted to be raised from the Otago region. Another name change occurred on 13 September 1906 when Battalions of Mounted Rifles were to be henceforth known as Regiments, thus came into being the 1st and 2nd Regiments, Otago Mounted Rifles. The last change prior to the Great War occurred on 17 March 1911 when the New Zealand compulsory military training program commenced. Three Regiments were to be raised to form the Otago Mounted Rifles Brigade. The three Regiments formed were: the Otago Hussars centred in Dunedin; 7th Southland Regiment located around the Invercargill region; and, a newly formed Regiment based upon the hinterland to the west of Dunedin called the 12th (South Otago) Mounted rifles. The Otago Mounted Rifles utilised the Volunteer Territorial structure to recruit members into the three squadrons gazetted as establishment in August 1914. Below is a listing of the three squadrons inclusive of the distinguishing squadron badge. The 12th Otago Mounted Rifles Regiment as a Territorial Volunteer formation came into being on 17 March 1911 when the New Zealand compulsory military training program commenced. The 12th Otago Mounted Rifles Squadron was recruited from the same Territorial region which included the area north and east of Dunedin. The 7th Southland Mounted Rifles Regiment was founded on 1 October 1900 when it was gazetted as a new regiment although with its roots in the Otago Hussars. The 7th Southland Mounted Rifles Squadron was recruited from the same Territorial region which incorporated the south and west of Dunedin and was centred on Invercargill. 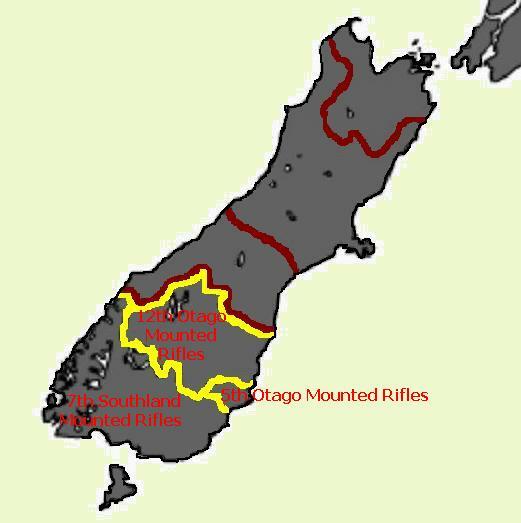 The Machine Gun Section was drawn from recruits over the entirety of the Otago Mounted Rifles catchment area. The original Otago Mounted Rifles Regiment embarked to Egypt on 16 October 1914. As mounted troops, the New Zealand Mounted Rifles were considered to be unsuitable for work in Gallipoli. The mounted troops volunteered to operate as infantry and thus were sent to Gallipoli with the Otago Mounted Rifles landing on 12 May 1915. Only once was this regiment used for offensive activities which occurred during the two attacks on Hill 60 in August 1915. For the balance of the time the Otago Mounted Rifles remained at Gallipoli, the unit played a defensive role. After Gallipoli, the honours are attributed as part of the Corps Cavalry, 2nd Corps Cavalry and 22nd Corps Cavalry. The Otago Mounted Rifles fought as a Regiment at Gallipoli but subsequent to the evacuation from the peninsular, the Regiment was disbanded and absorbed into the newly formed 2nd Battalion of the 3rd (Rifle) Brigade. The 5th Mounted Rifles Squadron remained as a mounted formation for the specific purpose of being sent to France as part of the Corps Cavalry and later to be known as the 22nd Corps Cavalry. A further thanks are extended to Steve Becker for his excellent work and article called: The XXII Corps Mounted Regiment and the 2nd Battle of the Marne. 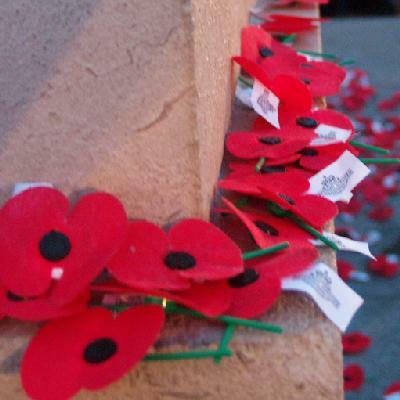 The Roll of Honour contains the names of all the men known to have served at one time with the Otago Mounted Rifles Regiment and gave their lives in service of New Zealand as part of that unit. John Patrick AHERN, Killed in Action, 6 August 1915. Stewart Alexander (Stewart Alex) AITKEN, Killed in Action, 29 April 1918. William Dickson ANDERSON, Died of Accident, 1 April 1916. James ANGUS, Death attributed to war service under Section 2, 18 November 1920. Reginald Henry BAILEY, Died of Wounds, 10 August 1915. Francis Walter or Walker BARNES, Died of Wounds, 23 August 1915. Richard Herbert BARTON, Killed in Action, 16 June 1915. Arthur BAUCHOP, Died of Wounds, 10 August 1915. Norman BAXTER, Killed in Action, 6 August 1915. John Thomas BEATTIE, Killed in Action, 6 August 1915. George BECKETT, Killed in Action, 21 August 1915. Charles BIRSE, Died of Wounds, 8 August 1915. Robert George BRADSHAW, Killed in Action, 16 July 1915. Basil BROOKE, Killed in Action, 6 August 1915. Geoffrey McPherson (Geoffrey) BUCHANAN, Killed in Action, 21 August 1915. Alexander Cameron BURT, Killed in Action, 6 August 1915. Patrick BUTLER, Died of Wounds, 23 August 1918. James Finlayson CAMERON, Killed in Action, 21 August 1915. Robert James CAMERON, Died of Wounds, 13 August 1915. James CAMPBELL, Killed in Action, 21 August 1915. John Carnegie CAMPBELL, Died of Wounds, 29 July 1918. Murdoch (Murdock) CAMPBELL, Died of Wounds, 21 August 1915. Albert Elias CASTLE, Killed in Action, 27 August 1915. Lindsay Lyall CHRISTIE, Killed in Action, 27 August 1915. Victor James CHRISTOPHERS, Killed in Action, 31 May 1915. Arthur COOK, Killed in Action, 6 August 1915. Jesse Halford Frederick COOPER, Died of Wounds, 28 August 1915. Robert CRAIG, Died of Disease, 22 August 1915. Nugent (Jeremiah Nugent) CUFF, Killed in Action, 6 August 1915. Alexander (A on CWGC) CUNNINGHAM, Died of Wounds, 7 June 1918. Joseph Alexander CUTTLE, Killed in Action, 27 August 1915. Bernard DABELL, Died of Wounds, 24 August 1915. John Brian DALTON, Died of Wounds, 2 December 1915. Frank Mark DOOLEY, Killed in Action, 6 August 1915. James DOW, Killed in Action, 6 August 1915. Albert DUFF, Killed in Action, 7 August 1915. John EDGAR, Killed in Action, 6 August 1915. William Allan ELSTON, Killed in Action, 6 August 1915. Martin John FARRINGTON, Killed in Action, 26 April 1918. Ernest William FEA, Death attributed to war service under Section 2, 2 April 1920. John Hadden FEA, Died of Wounds, 9 August 1915. John William FOSTER, Died of Wounds, 24 August 1915. William FOSTER, Died of Disease, 16 November 1915. Robert McKinley FRAZER, Died of Disease, 4 September 1915. Joseph GEARY, Killed in Action, 27 August 1915. William John GILLETT, Killed in Action, 6 August 1915. George GOSSAGE, Killed in Action, 27 August 1915. Frederick Arthur GRANT-USSHER, Killed in Action, 5 July 1915. William GUTTERY, Killed in Action, 6 August 1915. Clarence John HALL, Killed in Action, 21 August 1915. Thomas William HALL, Died of Wounds, 23 August 1915. Herbert Rosewell HAMILTON, Killed in Action, 21 August 1915. John HAMILTON, Death attributed to war service under Section 2, 13 June 1917. Robert James HAMILTON, Killed in Action, 6 August 1915. James HARDY, Killed in Action, 5 December 1915. George HARPER, Killed in Action, 27 August 1915. Bruce Somerville HAY, Killed in Action, 7 August 1915. Andrew Gordon HERBERT, Died of Wounds, 19 October 1915. Leonard Johnston HILL, Died of Wounds, 30 August 1915. Oliver John HILL, Killed in Action, 21 August 1915. Herbert HINDMARSH, Killed in Action, 27 August 1915. Samuel HOARE, Killed in Action, 27 August 1915. John HOURSTON, Died of Disease, 30 August 1915. William Gladstone HOWIE, Died of Disease, 30 September 1915. David HUNTER, Killed in Action, 21 August 1915. James Edgar HUTCHINGS, Killed in Action, 3 August 1915. William HUTCHINGS, Killed in Action, 27 July 1918. Gilbert HUTTON, Died of Wounds, 13 August 1915. Claude INGLE, Killed in Action, 21 August 1915. William IRWIN, Killed in Action, 21 August 1915. James JACK, Died of Wounds, 8 June 1917. Thomas James Morris JENKINS, Killed in Action, 21 August 1915. Garfield Cornelius JESSOP, Killed in Action, 27 August 1915. Duncan (Duncan McPherson) JOHNSTONE, Killed in Action, 27 August 1915. Edward Fowler JOINT, Killed in Action, 21 August 1915. Joshua Alexander JONES, Died of Wounds, 10 January 1918. Nicholas KAVENEY, Died of Disease, 9 December 1918. John William Francis KIMPTON, Died of Disease, 17 March 1916. Carl William McAllan LAMONT, Died of Disease, 8 February 1916. George Harper LESLIE, Killed in Action, 21 July 1918. Norman James LESLIE, Killed in Action, 27 August 1915. Hugh Alexander LIVINGSTONE, Killed in Action, 6 August 1915. Herbert William LORY, Died of Wounds, 5 December 1915. William LUONI, Died of Wounds, 15 June 1915. Peter MACKAY, Killed in Action, 7 August 1915. Thomas Gordon MACKAY, Killed in Action, 11 December 1915. Malachi MALONEY, Killed in Action, 21 August 1915. George Stanley MARLOW, Died of Disease, 12 September 1915. Joseph Henry MARLOWE, Died of Wounds, 22 August 1915. William Thomas MARSHALL, Died of Disease, 26 October 1918. James McDONALD, Killed in Action, 11 January 1918. Robert McDONALD, Died of Wounds, 6 September 1915. Peter McGLASHAN, Killed in Action, 30 May 1915. Donald Hunt McILDOWIE, Killed in Action, 27 August 1915. Edmund McINTOSH, Death attributed to war service under Section 2, 4 January 1920. David George McKAY, Killed in Action, 21 August 1915. Kenneth McKAY, Died of Disease, 10 November 1915. William McKENZIE, Killed in Action, 31 May 1915. Alexander McLENNAN, Killed in Action, 3 October 1916. Edward Duncan McLENNAN, Died of Accident, 12 June 1915. Hector McLEOD, Killed in Action, 21 August 1915. John McMENAMIN, Death attributed to war service under Section 2, 31 January 1917. John McMURCHIE, Died by Drowning, 2 September 1915. Murdoch McQUILKAN, Died of Disease, 16 December 1915. Alexander McCandlish MOIR, Died of Disease, 30 July 1915. Thomas Henry MOSSMAN, Died of Disease, 12 April 1915. John William NEILSEN, Died of Wounds, 3 September 1915. Lawrence Cadogan O'KEEFFE, Died of Wounds, 11 August 1915. Albert George PAGE, Died of Wounds, 22 August 1915. Thomas PAGE, Died of Disease, 20 September 1915. Robert PAUL, Killed in Action, 21 August 1915. Arthur PENTY, Death attributed to war service under Section 2, 14 November 1919. Edgar Seymour PERRY, Killed in Action, 21 August 1915. James PLAYTER (SMITH), Died of Wounds, 22 August 1915. John Alexander PORTER, Killed in Action, 6 August 1915. James POTTINGER, Death attributed to war service under Section 2, 3 March 1920. William Rupert PYLE, Killed in Action, 6 August 1915. John Thomas RAINHAM, Killed in Action, 27 August 1915. Archibald RAVENWOOD, Killed in Action, 30 May 1915. Robert RENDALL, Not in book, 25 November 1918. Frederick (Frederick John) ROBINSON, Died of Disease, 18 February 1916. Thomas ROBSON, Died of Wounds, 9 May 1917. John Walker ROGER, Killed in Action, 6 August 1915. Arthur SCOTT, Killed in Action, 21 August 1915. John Ewen SHARP, Died of Wounds, 9 August 1915. Leo John SHAW, Died of Wounds, 23 August 1915. James Brownlie SHEED, Died of Disease, 25 August 1915. John SINCLAIR, Killed in Action, 27 August 1915. Robert Stanley SMITH, Killed in Action, 6 August 1915. Ernest Edward SNOW, Killed in Action, 6 June 1915. James STEWART, Death attributed to war service under Section 2, 10 December 1918. John STEWART, Died of Disease, 17 January 1916. Douglas STRACHAN, Killed in Action, 29 April 1918. Stanley SULLIVAN, Killed in Action, 25 July 1915. David SUTHERLAND, Killed in Action, 6 August 1915. George SWANSON, Killed in Action, 25 June 1915. Royston TAYLOR, Died of Wounds, 14 January 1916. Edward Richard THOMAS, Killed in Action, 21 August 1915. James Sutherland THOMPSON, Killed in Action, 6 August 1915. Alec Leslie THOMSON, Died of Disease, 8 September 1915. Arthur John THOMSON, Died of Wounds, 3 June 1915. Robert THOMSON, Killed in Action, 6 September 1915. Albany Lindors THROP, Died of Wounds, 1 August 1918. Hubert Henry Horrell TREMAINE, Killed in Action, 26 April 1918. George Alfred Cookson VALENTINE, Killed in Action, 9 August 1915. Edmund WALKER, Died of Wounds, 8 August 1915. William Arthur WALKER, Died of Disease, 13 June 1915. Harry Hassard WALL, Killed in Action, 21 August 1915. Edward WALMSLEY, Killed in Action, 6 August 1915. George WALMSLEY, Killed in Action, 9 August 1915. Edward WALSH, Killed in Action, 6 August 1915. Richard Fell WATSON, Killed in Action, 21 August 1915. Robert Morgan WATSON, Killed in Action, 22 August 1915. Alleyne Gordon WEBBER, Killed in Action, 6 August 1915. Robert Francis WELSH, Killed in Action, 29 April 1918. Harold Henry WHITAKER, Died of Wounds, 27 August 1915. Leslie WILSON, Death attributed to war service under Section 2, 9 August 1920. Robert (Robert Munro) WILSON, Died of Disease, 14 February 1916. Alfred WOOD, Killed in Action, 17 April 1918. Frank WOODHOUSE, Killed in Action, 27 August 1915. Robert YOUNGSON, Died of Disease, 31 August 1915.